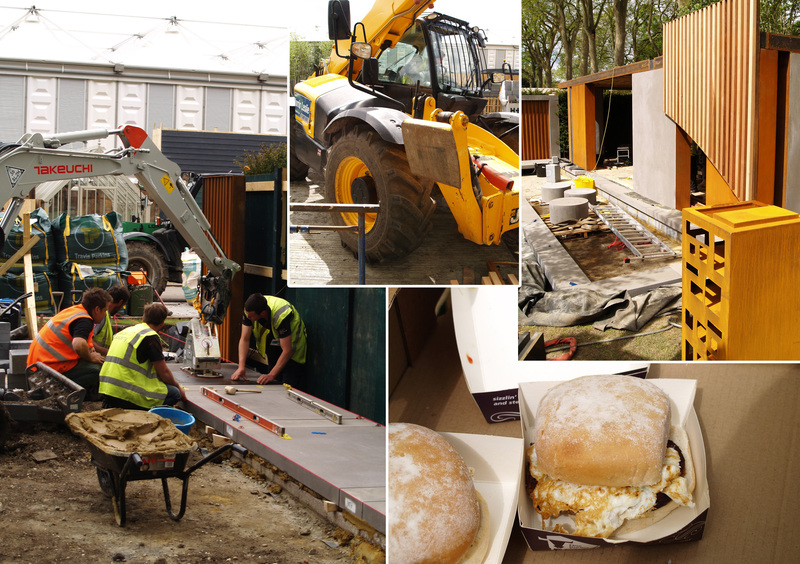 Probably about time I did an update about my forthcoming show garden! I think everything is starting to take shape. I’m trying to get as much done as soon as I can, just in case any unexpected problems arise – quite possible considering I am feeling my way through the whole process. Whenever I sit down to spend some time planning one particular aspect, I usually realise I have at least four other things to plan before I can finish what I started. I’ve been busy making final decisions about the number of plants I’m going to need. Probably over 200. 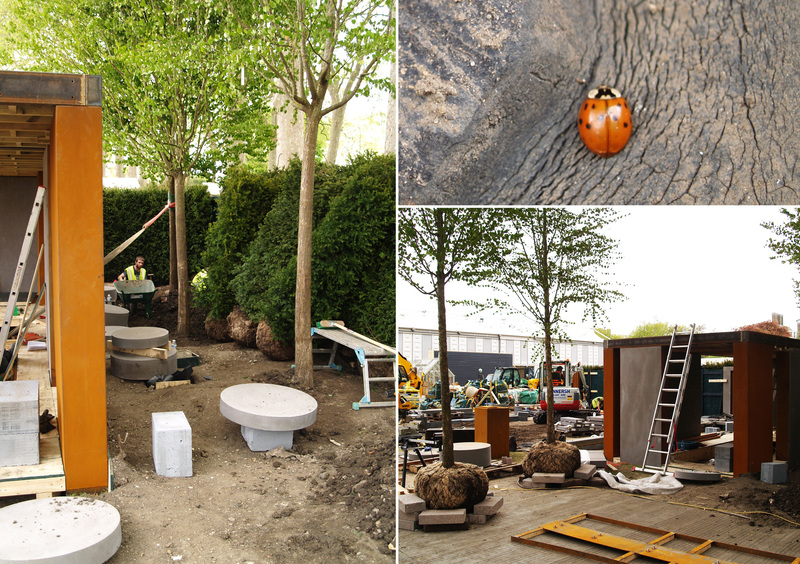 The tree for the border has almost been finalised. Finding a mature pollarded willow has been difficult, so instead I have opted for three Salix that have been woven into bold living columns. Their shape is reminiscent of the chimneys of bottle oven kilns, which would have dominated the industrial skyline. Standing like living monuments to the pottery industry and the world-famous willow pattern. 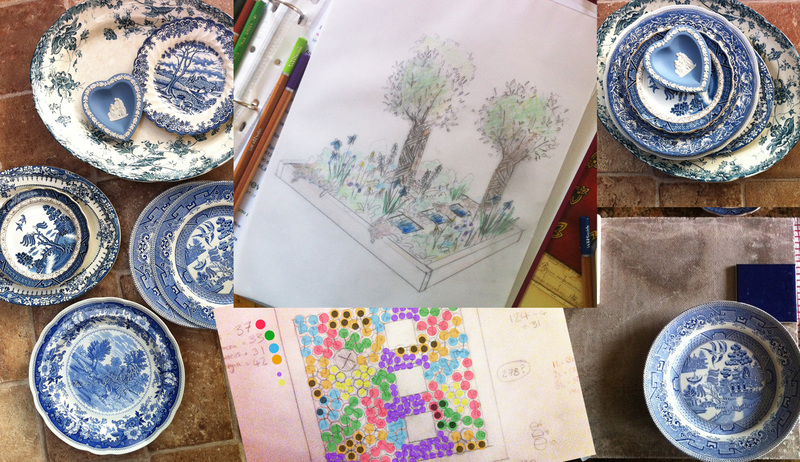 I have started designing my mosaic stepping-stones and have a good collection of blue and white ceramics to use. Found in charity shops and boxes of plates that never made it into our cupboards, they are so lovely I feel guilty about breaking them. Imagine if one of them was a priceless heirloom and I take a hammer to it! Juggling working full-time and trying to organise my border is a little tricky. I could easily spend all my time deliberating over the planting plan or the design of my leaflet, so perhaps it’s a good thing that lack of time will make me more focused. Fingers crossed the completed garden will look like the image I have in my head. Growing aplines, the new un-cool cool thing to do? There is something quite fascinating about alpines. 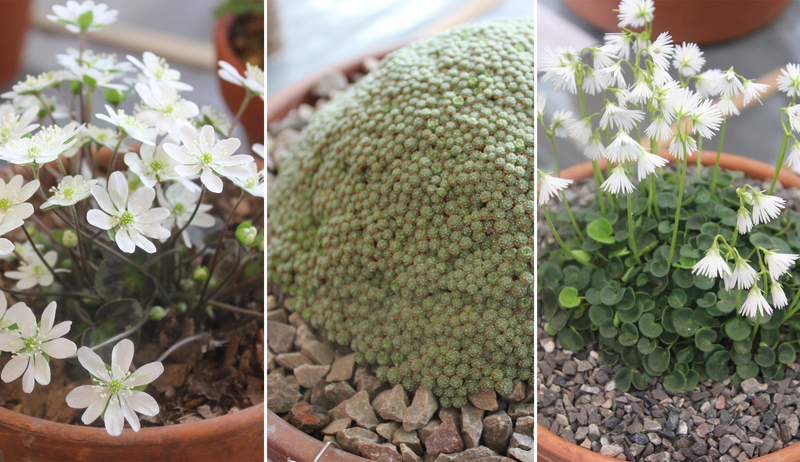 Robust little rock plants with jewel-like flowers that look like they have arrived from another planet. Their rugged-exotic appearance makes them look unpredictable and hard to grow. 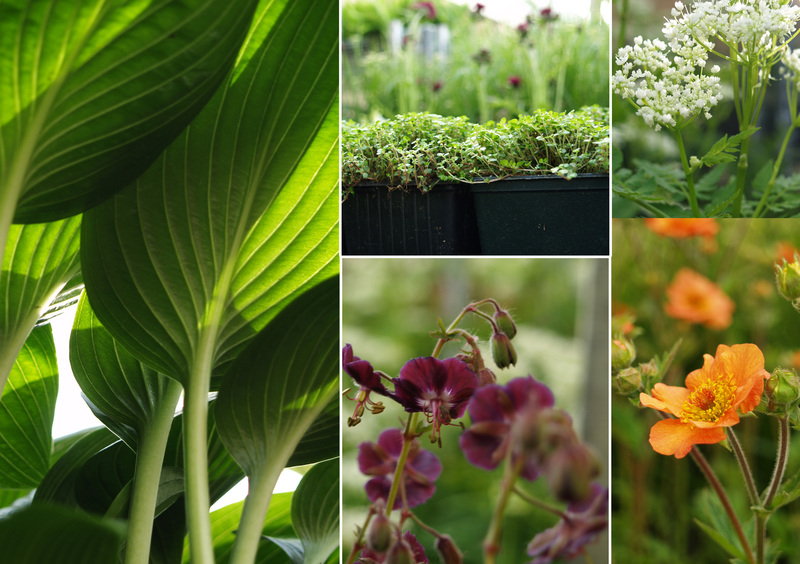 However, mainly originating from cool mountainous regions, they are very suited to our climate and make great plants for containers or small gardens. 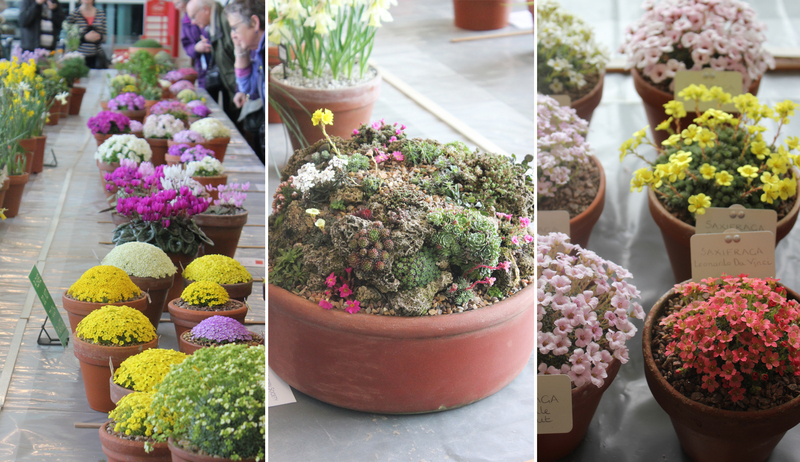 The other day I visited an alpine show. The room was filled with admiring ‘oos’ and ‘ahhs’, as crowds of people all cradling cameras, huddled around tables trying to get the perfect photo of a delicate mass of tiny yellow flowers. It was great to see so many people, however I don’t think my presence did much to alter the average age of the shuffling crowd. 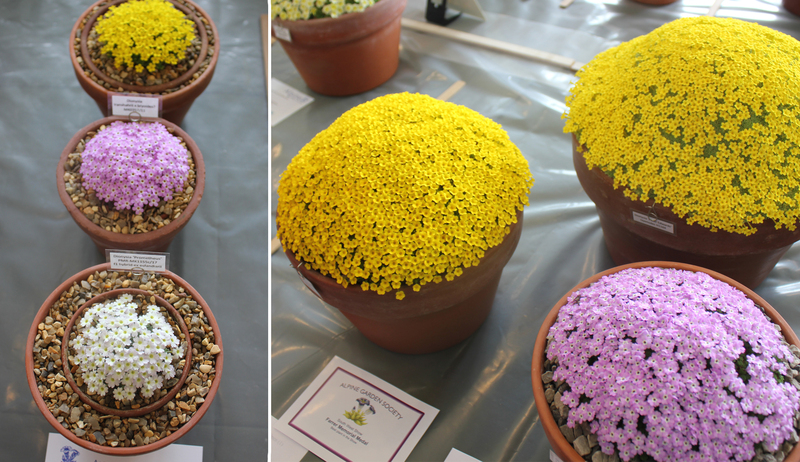 It struck me that growing alpines probably isn’t very ‘cool’, but why not? It’s definitely alternative and if you are a fashionable, twenty-something living in a studio flat in London, some vintage terracotta pots with curious-looking plants would certainly make a good talking point. Not to mention an awesome Instagram subject. 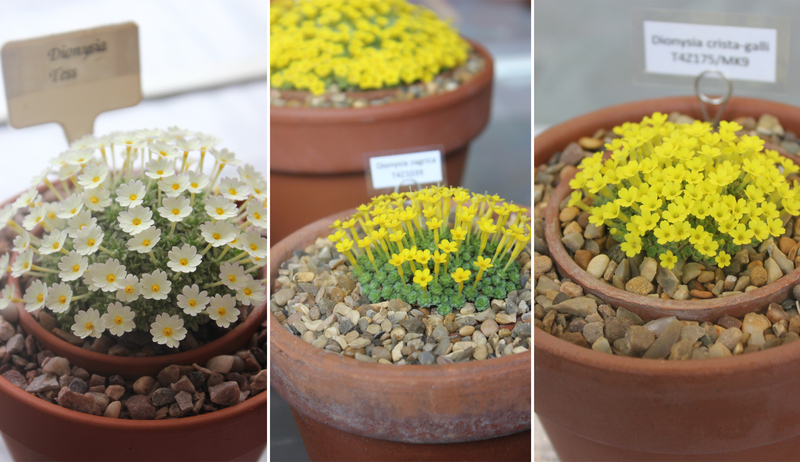 Perhaps growing alpines is the answer that all of us un-cool folk have been looking for? 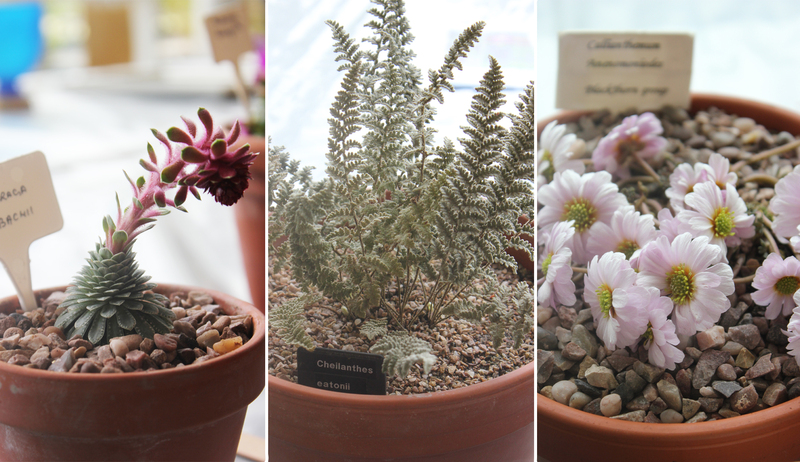 Alpines are often thought of as plants that grow ‘above the tree-line’, however anything small and hardy can be an alpine, like conifers or cacti. I’ve seen that cool people like to put flowers in their beards and hair; alpine flowers are the perfect size for accessorising one’s facial features. The flowers come in a multitude of different shapes and colours. Nothing says ‘trendy-without-trying’ like someone who is well travelled. Rock plants come from every corner of the globe and are simple way to bring the rest of the world to your garden with out going anywhere. You could even pretend to have been soul-searching whilst staying in a boutique mountain retreat where your alpine grows. 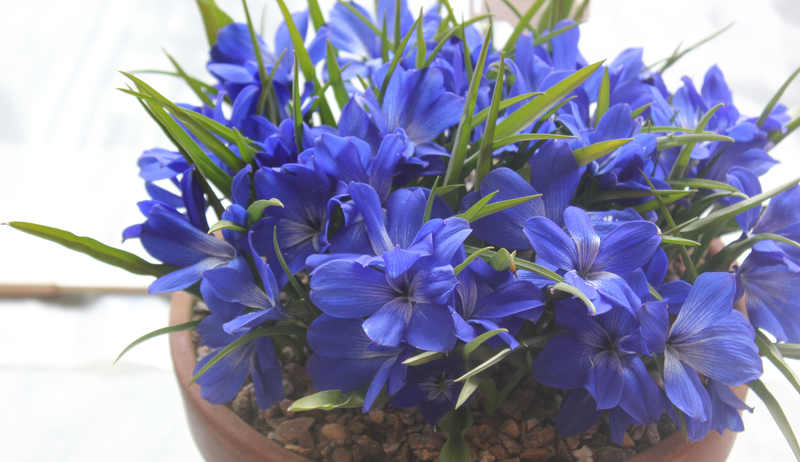 Alpines can be planted at any time of year in unfrozen soil. Although the best time to plant them is March and April. If the thought of gardening is a little daunting, something like a small rock garden in a bowl is a great way to get started and also a great way to get kids growing too. Do your bit to save the planet. There are lots of alpines from southern Europe and further afield that are drought-resistant and once established will happily grow and flower with little water. Really useful if you just forget to look after your plants or live in a hosepipe ban area. Spend a long time maintaining your appearance so that you look like you don’t care about your appearance? Alpines genuinely don’t need much maintenance at all and they still look great. A single alpine looks lovely in a statement container. A perfect excuse to go rummaging in thrifty little shops or grab a bargain at your local street market. Just make sure that the container has good drainage. 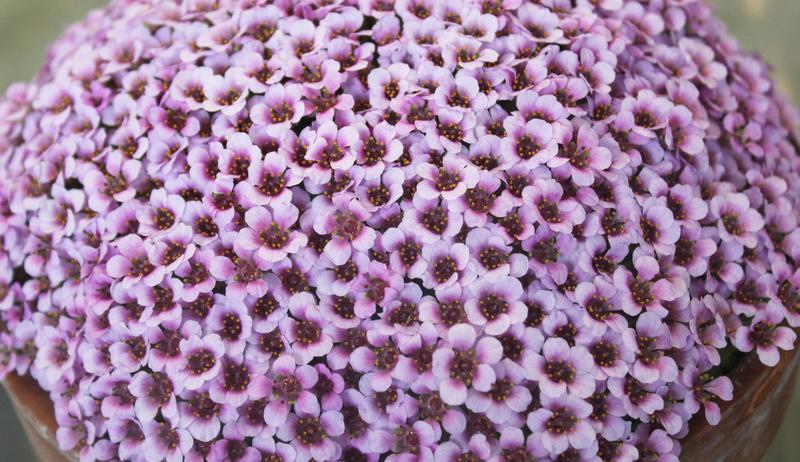 The following plants all have alpine varieties, are easy to grow and could be your unique new DJ name: Aubrieta, Crepis, Ranunculus, Thymus, Sempervivum, Sedum or Erinus. There is also a huge range of alpine bulbs, a lot of them flower in the spring when there aren’t many other plants growing. 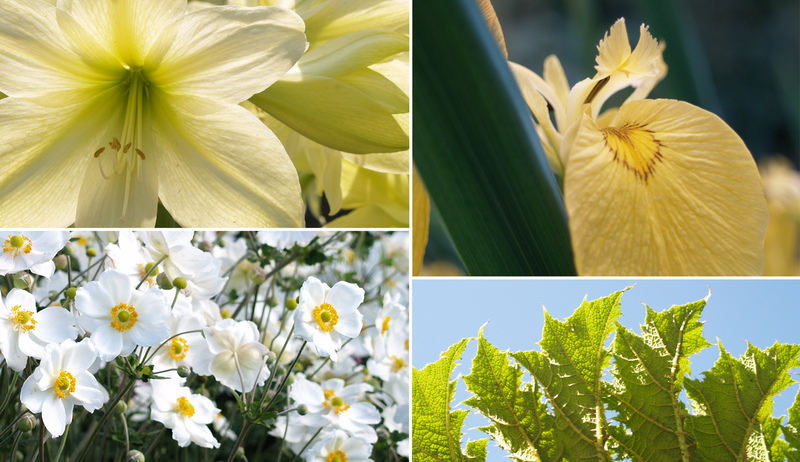 Great bulbs to start with would be Crocus, Fritillaria, Narcissus or Tulipa. Remember how at university all the cool people would join the obscure clubs, like the ‘Tea-drinking Society’ or the ‘Human vs. Zombies Society’? 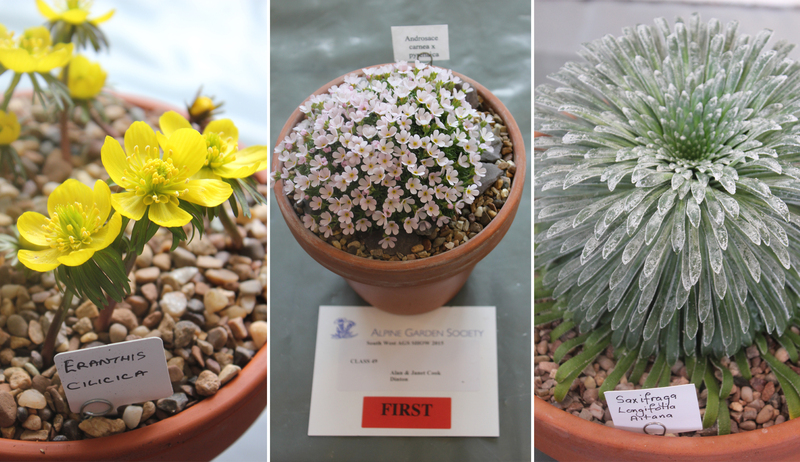 Alpine-lovers can join the AGS (Alpine Gardens Society) who hold loads of events, local meetings, plant sales and seed exchanges. 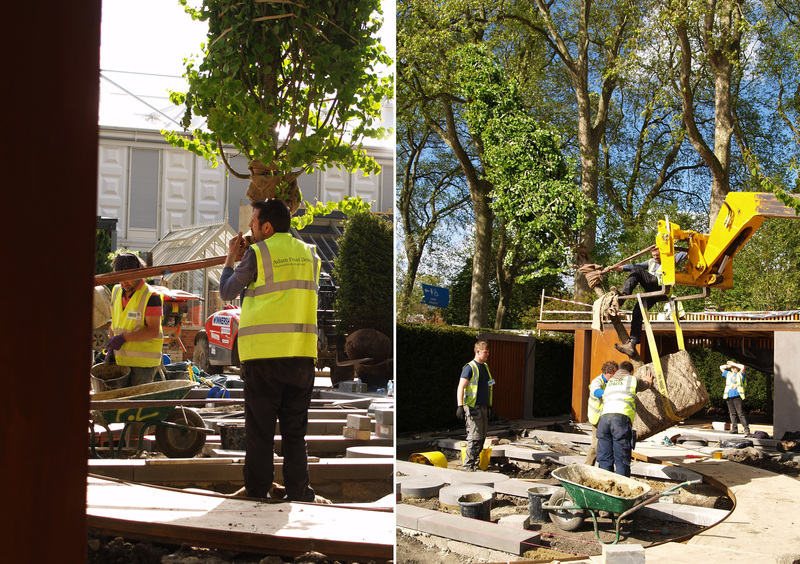 Experiencing the process of a Chelsea Flower Show garden coming to life over the last few months has made me eager to pick up a pen and start dreaming of designing my own show garden. 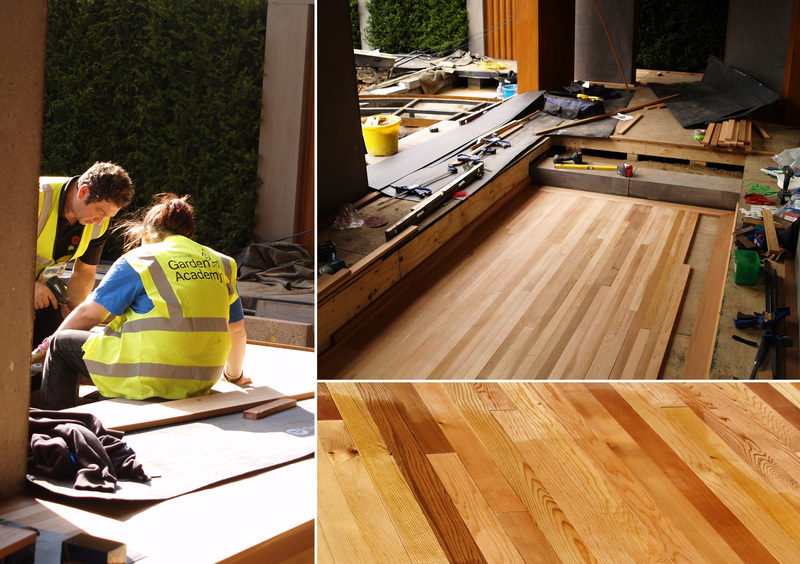 Although, with the highs we have also seen the lows and there have definitely been times when we have not envied the gruelling obstacles that Adam Frost has had to overcome with his design. 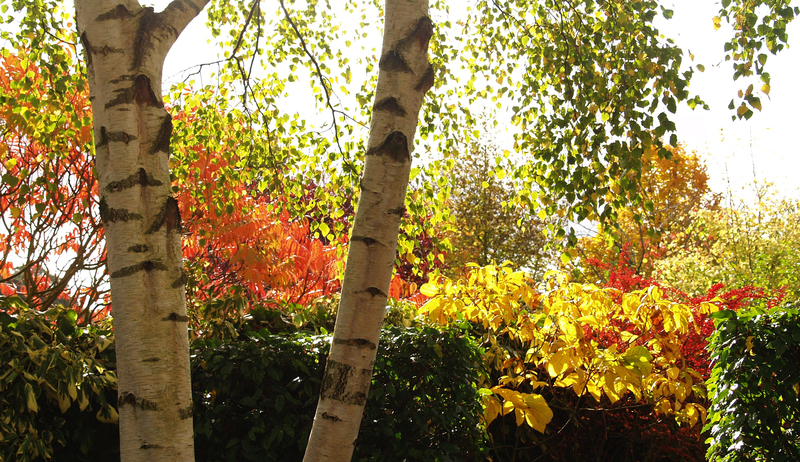 About a month ago I read about the Beautiful Borders category at BBC Gardener’s World Live in Birmingham. 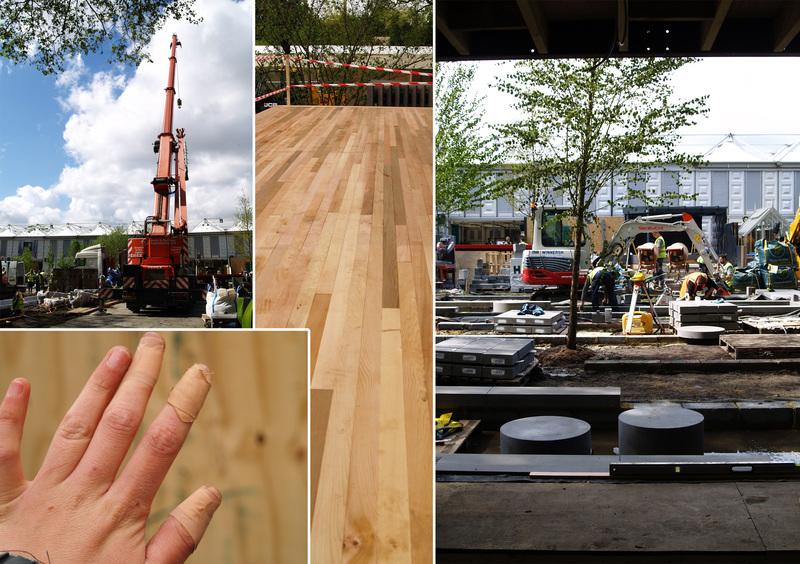 It sounded like the perfect opportunity to design a small garden, only 3x3m, but still experience the planning, preparation and atmosphere of being at a show. With nothing to lose and a good opportunity to get the ink flowing from my pens again, I set about designing a garden inspired by the theme of, ‘Industrial Heritage of the West Midlands’. 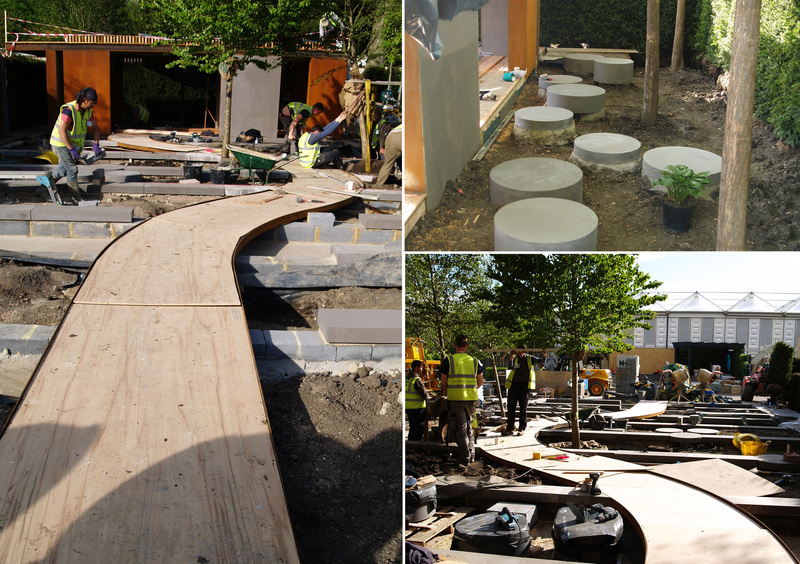 Last week, completely out of the blue, I had a letter from the RHS confirming that they would like me to bring my design to life at the show! I’m completely over the moon. I thoroughly enjoyed exploring the theme and settled upon the pottery industry of the West Midlands as my inspiration. It is a really fascinating subject. I never realised that so many important developments involving the mass-production of ceramics came from that area, plus there are some fantastic contrasts between the beautiful pottery that was created and the people who worked in the factories. 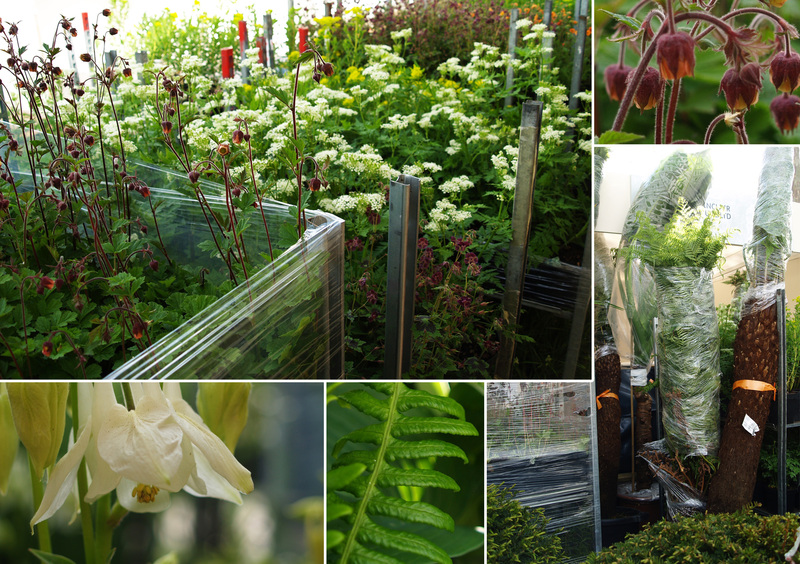 I imagine if I had not been a part of the Garden Academy this year, I might not have entered. However, meeting enthusiastic suppliers, working with Adam Frost and all the other amazing Academy students has given me a real drive. Now it is dawning upon me that I have a lot of planning to do! Inspired by the pottery industry of the West Midlands, particularly Spode and Wedgewood, the border has a white and blue palette, as they are the most common colours associated with these potteries. 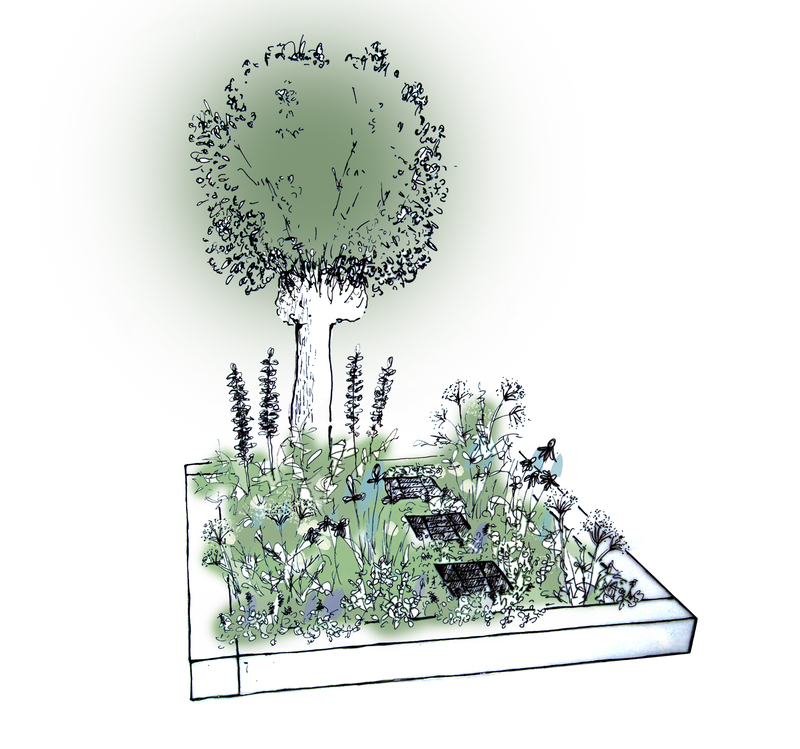 The planting will be informal, with lots of tall swaying flower heads, coupled with delicate sprawling ground cover. A large pollarded Salix stands in the border as living monument to the world-famous willow pattern. Tall spires of Acanthus tower above the rest of the planting, echoing the chimney-like bottle ovens that would have dominated the skyline. Mosaic stepping-stones cross the border. Made from broken blue and white pottery, the pattern of the stepping-stones reminds us of the factories where the ceramics were produced, with a haunting reminder of the people who tirelessly worked there. Exploring the explorers: Do we still need Plant Hunters? Stepping foot on the soil of an unknown terrain, a land so different from the lush grass of home. Hundreds of questions cross your mind. What dangers will you face? Will the locals be willing to help? Will you even find anything to take home? Forcing doubt to the back of your mind and focusing on your motivations; a thirst for knowledge, love of plants and desire to uncover the unknown. Exhaling deeply, you press on, who knows what undiscovered plants wait in the next valley. Whether during the age of colonial Britain or the Post-Imperial world, the motivations of a plant hunter have remained the same. Their passion forms the foundations of why planting hunting is still hugely relevant in the 21st Century and arguably even more important than ever. Tens of thousands of plants are yet to be discovered. As a result, there are still numerous opportunities for Scientists to research and understand global biodiversity, with newly discovered plants often providing the ‘missing links’ to evolutionary questions. As well as discovering new plants, there is also a rare, but completely feasible possibility, that plant hunters can unearth plants thought to be extinct. They can then be reintroduced into their natural habitat and also grown in more controlled environments to ensure they are not lost again. 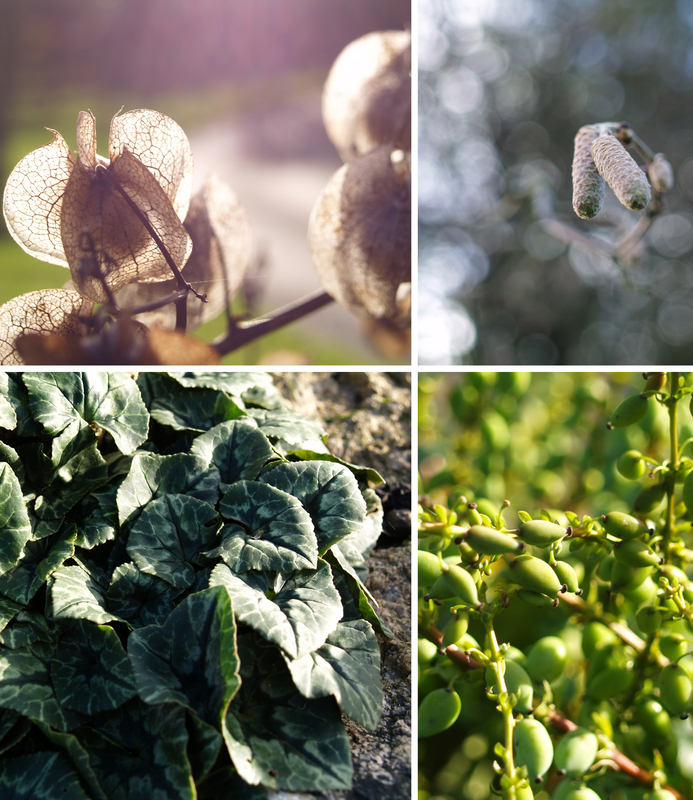 Aside from Science, there are reasons much closer to home as to why plant hunting is still relevant. Enthusiastic gardeners create demand for new plants. 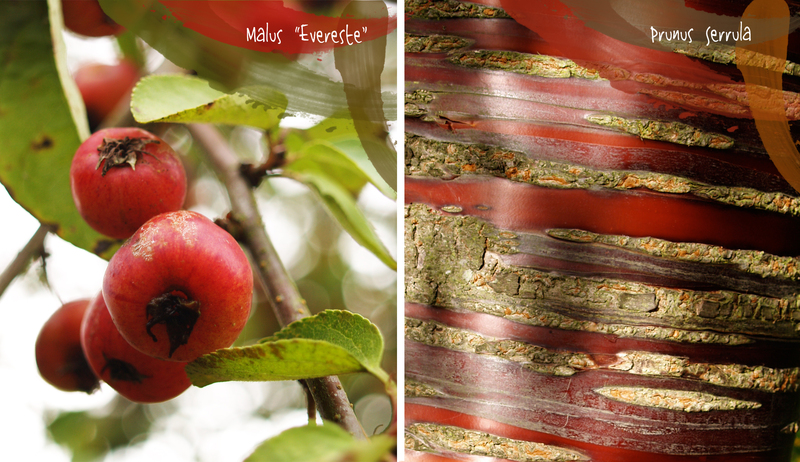 Whether it is something exotic in appearance or an unusual variety of a more commonly known plant. 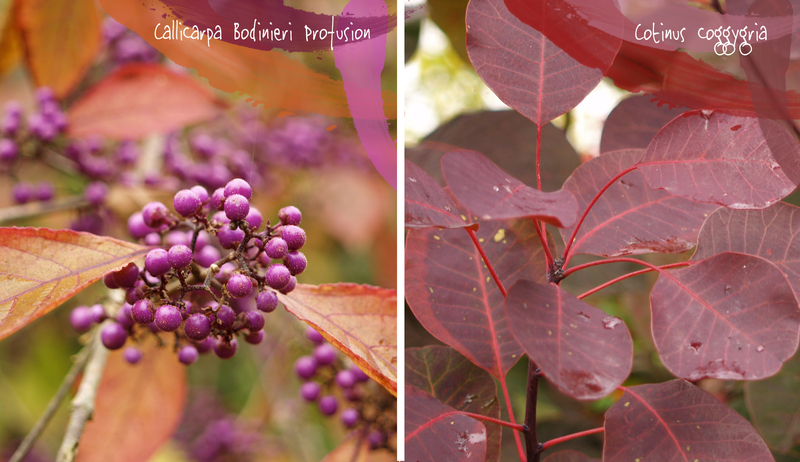 Nothing excites a gardener more than the somewhat romantic notion that a particular plant originates from a far-flung country, yet it can still be grown in our own gardens. Another benefit planting hunting provides to gardeners is the opportunity to obtain plants that have been improved through breeding. A new plant cultivar found in the wild might offer a better disease resistance or be more drought tolerant. 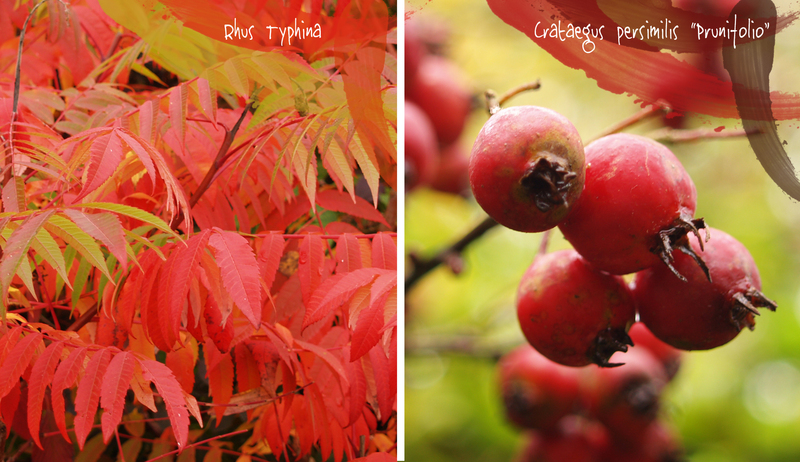 These qualities can then be bred into existing varieties, creating a more sought-after plant. 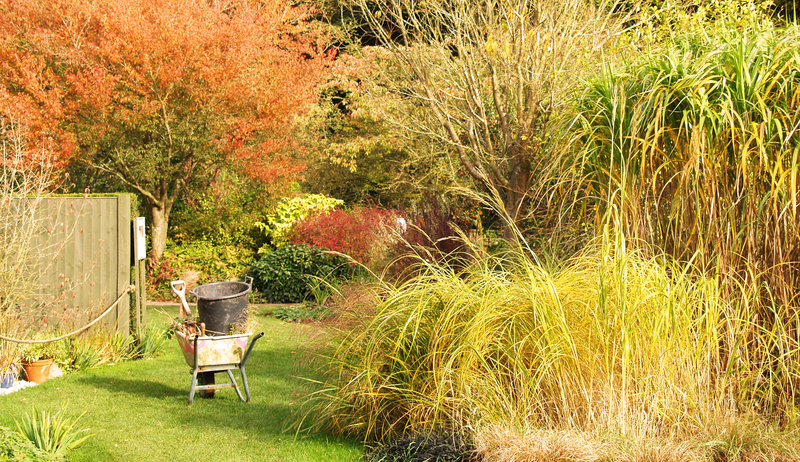 This is especially true with the increasing presence of climate change, gardeners will not stop wanting beautiful flowers and foliage to fill their gardens, however, the plants will need to alter to suit our changing climate. Climate change, plus the destruction of natural habitats creates the need for conservation. This is the key reason why plant hunters are still relevant in the Post-Imperial world. Kew indicates that 22% of plant species already face the threat of extinction, a figure that already sounds too high. Unfortunately, many of the countries where threatened plants grow cannot put the time, money or resources into making sure they are safe from extinction. Therefore, plant hunting becomes hugely important as a means of bringing plants back to specialist nurseries where they can be cultivated. 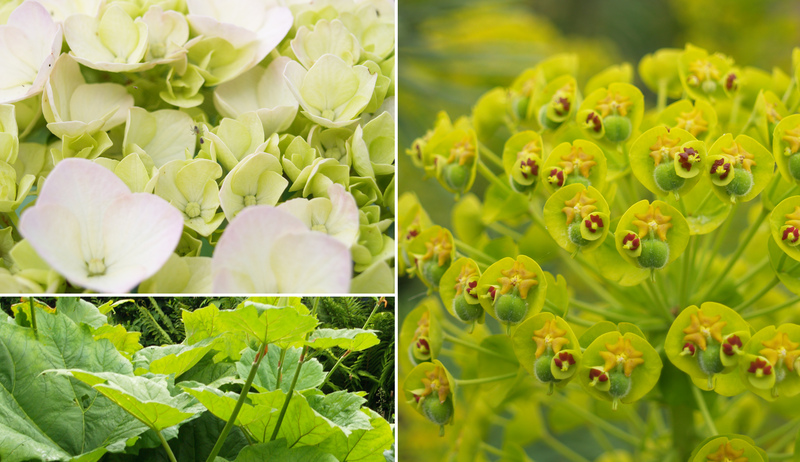 Growers can then sell these plants onto the eager gardener, meaning we can all do a little bit to help keep rare plants and plant hunting alive. 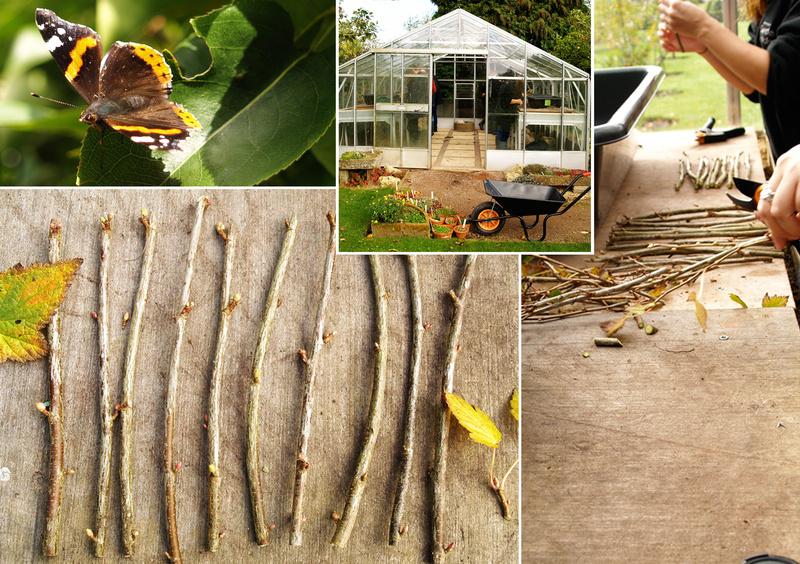 Just written about our January Garden Academy with Adam Frost, Bosch & Westland Horticulture. January can often feel like a very bleak month. The excitement of Christmas and New Year has past and the grasp of winter can really take hold. Even my pots of winter bedding seem to have given up trying to look nice. A roaring fire, cup of tea and a good gardening magazine are my comforting companions, transporting me to dry, warm days spent outside with a trowel in hand. I always feel that as soon as the New Year begins that spring should too, but realistically it is still many weeks away. However, take a closer look at the garden and you can find spring. Not yet bursting forth in all it’s vibrant glory, just progressing steadily in the background and waiting for the right moment to take us by surprise. 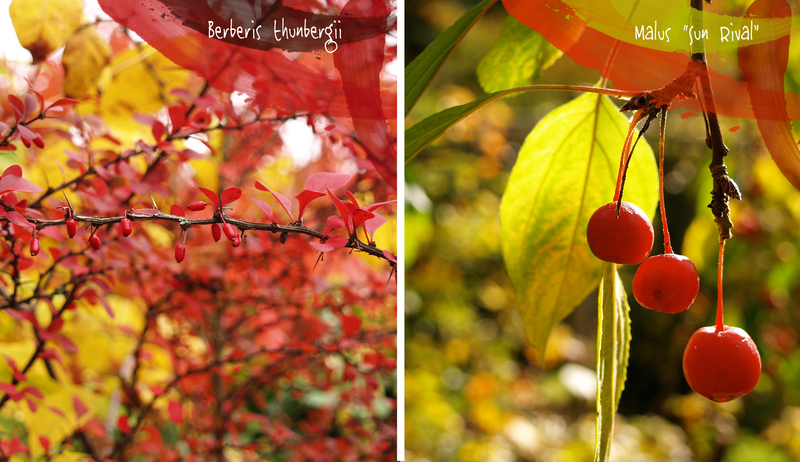 As well as the first signs of spring, there are also the final hints of the previous autumn. Beautiful seed heads are a last reminder of borders overflowing with plants in summer. 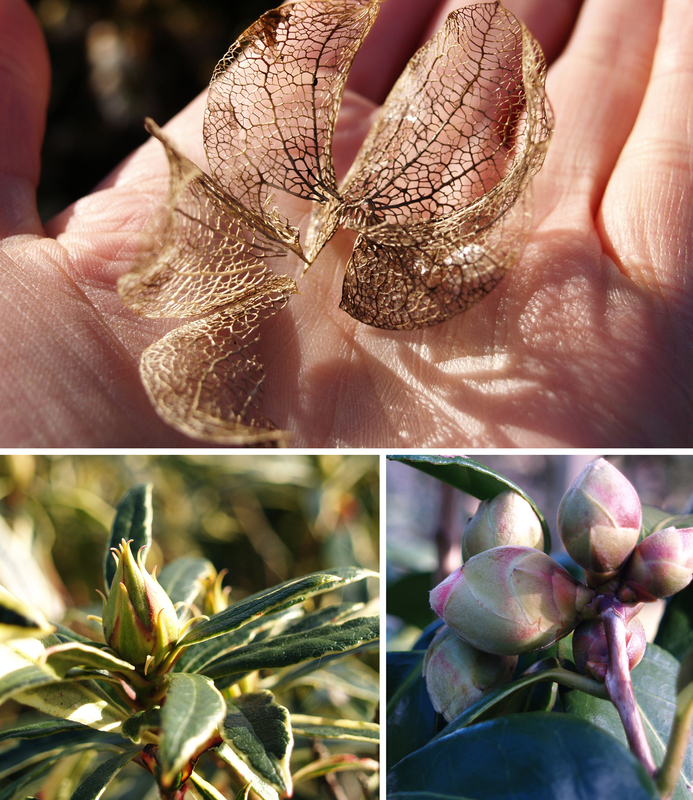 The lantern-shaped pendants of the Shoo-fly plant, Nicandra physalodes, looked beautiful in the winter sun. Their papery shells would be blown away if a multitude of veins weren’t holding them together. Camellias and Rhododendrons have been quietly developing their plump flower buds all winter and clusters of catkins hang like tails from branches. Incidentally, Catkin comes from an old Dutch word katteken, meaning kitten, on account of the flowers looking like a kitten’s tail. 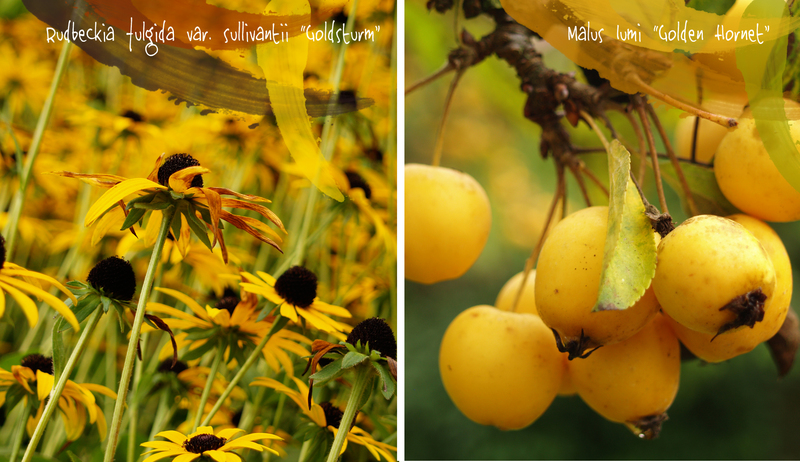 The dull light of winter is repainted with a palette of dazzling yellows in spring. The delicate heads of the Mahonia are the first strokes of paint that can liven up any garden in winter. The berries that follow, first lime green then turning to deep purple, sit like a crown above the almost prehistoric looking leaves. It was a lovely surprise to see a Primrose flowering so early in the hedgerow; a very telling sign that it has been a mild winter so far. Nothing says spring like Primroses, or in medieval Latin prima rosa, meaning ‘first rose’. Especially when they carpet a whole bank or hedgerow. Although they are frequently seen in abundance, Primroses are actually protected by the Wildlife and Countryside Act. This means it is illegal to pick or remove a Primrose from the wild. 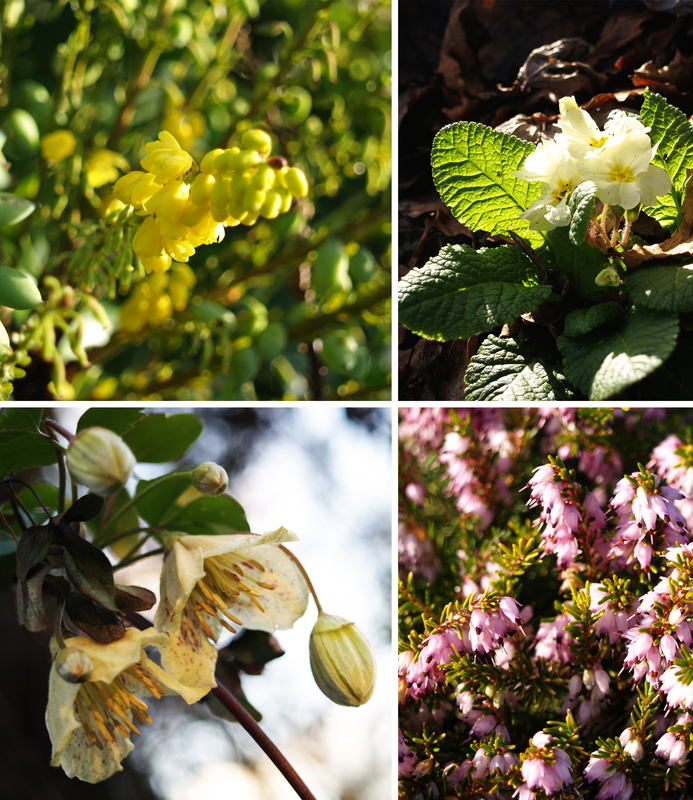 The flowers of Winter Heathers seem to go on and on, creating a gorgeous blanket of lipstick shades. More subtle flowers can be found on wintering flowering Clematis, Clematis cirrhosa. The dainty bell-shaped flowers look so delicate you would think they should be growing in the cozy warmth of a greenhouse, not outside facing the harsh winter weather. Each petal has a light smattering of freckles, although some varieties having so many their petals are almost pink. 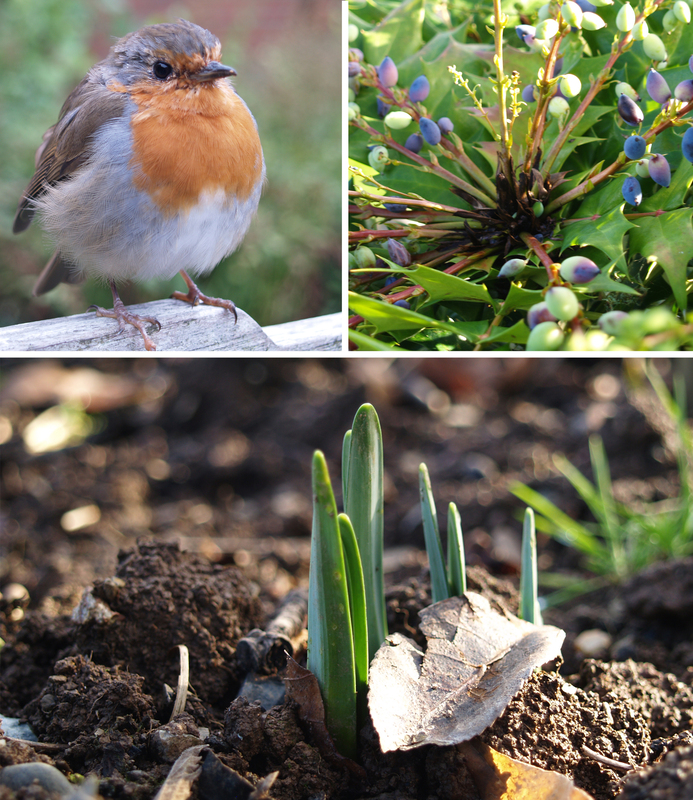 It is very uplifting to see their graceful flowers in the middle of winter and will definitely keep a gardener’s spirts lifted, whilst they dream about the warmer months and patiently wait for their spring bulbs to flower. It’s funny how the simplest of things can transport our nostalgic memories back to our childhood and in a matter of seconds we have gone back in time all just from a taste, smell, place or object. 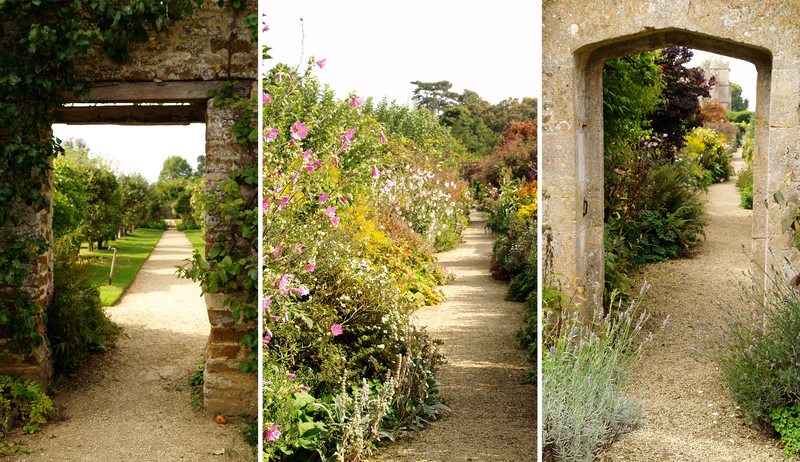 When I visited Rousham Gardens, I found myself fondly recalling countless hours spent playing in water. Whether pointlessly collecting broken china from a neighbour’s stream, building dams in rivers or exploring the bed of an empty reservoir. There is something about water that brings out our playful inner explorers! Water is definitely a prominent feature at Rousham. Created by William Kent in the 18th Century, the gardens are unaltered, making them the purest example of the English Landscape gardening style. It’s easy to forget that what appears to be a very natural parkland with rolling lawns and huge trees, was in fact all carefully planned, to make the most of views and really heighten our expectation and surprise as we explore. 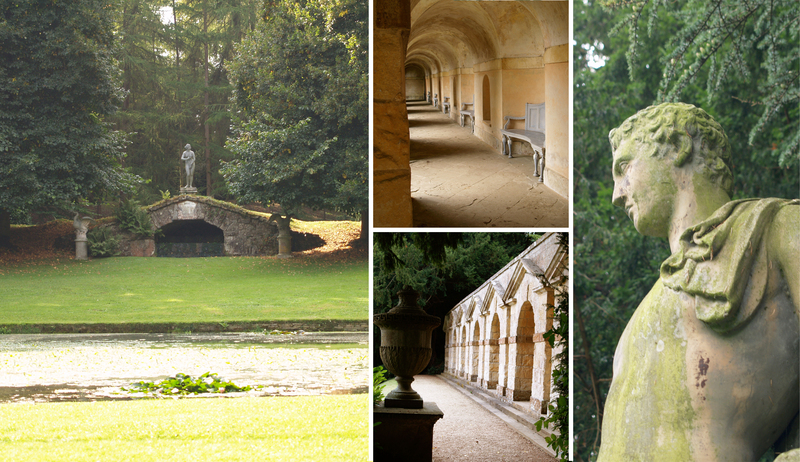 The garden is full of amazing, grand classical buildings and sculptures, which really did blow me away with their size and craftsmanship. They are anything but dainty. In fact, the whole garden has a huge presence that overshadows the very beautiful house, even though the majority of the garden is tucked away. 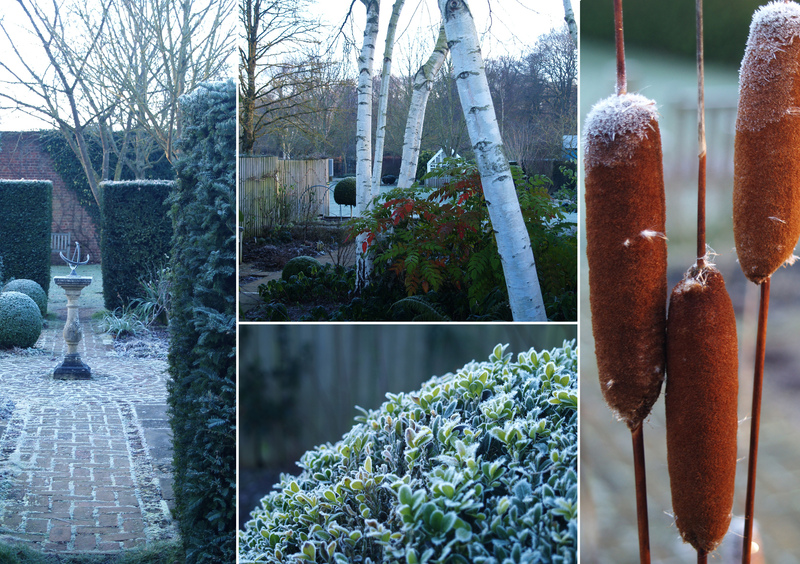 My favourite part of the garden absolutely had to be the rill leading to the Cold Bath. 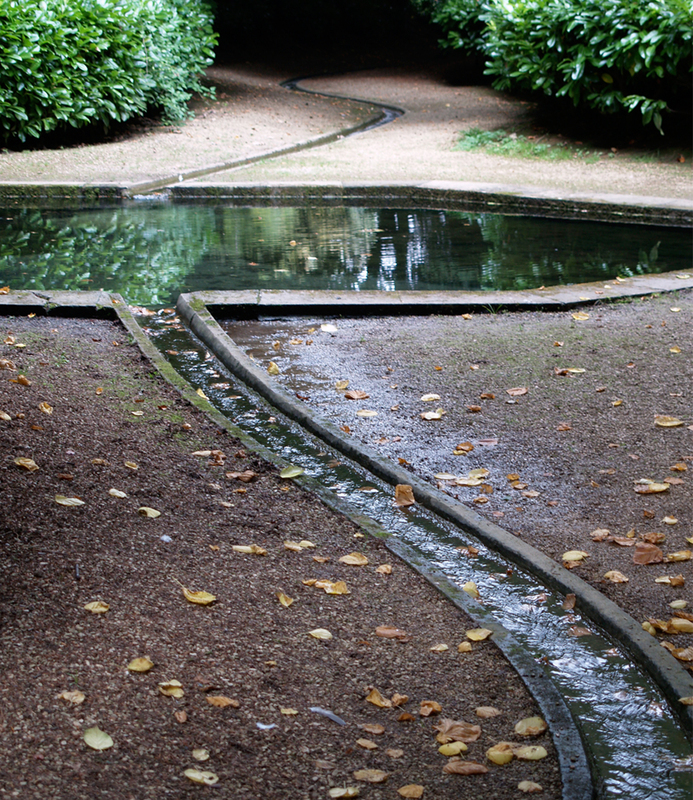 The rill winds its way through a simple piece of woodland, flanked by laurel, to a crystal-clear, octagonal cold bath. 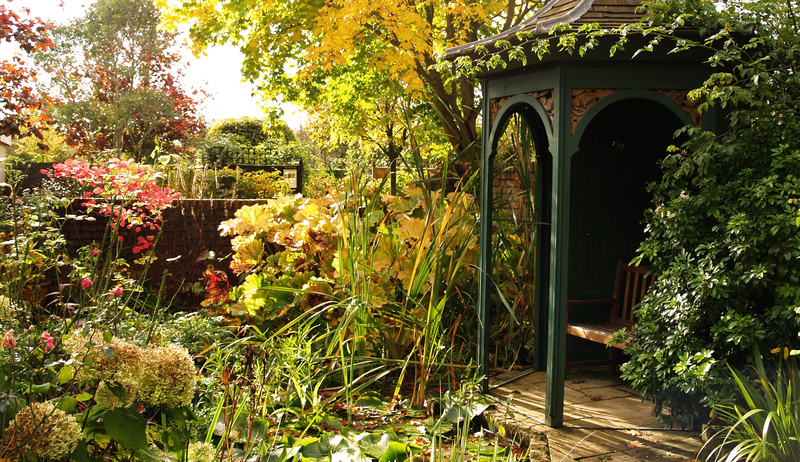 The idea of an octagonal shape in the garden sounds quite strange, however it just seemed to sit so perfectly with in the setting. The rill and bath is Grade II listed and is the earliest example of the Rococo theory, ‘Line of Beauty’ being applied in Garden Design. Line of Beauty is a term that describes an S-shaped curved line. The theory behind it is that curved lines create a liveliness and excitement that attracts attention, where as straight lines signify inanimate objects and more dramatically, death. 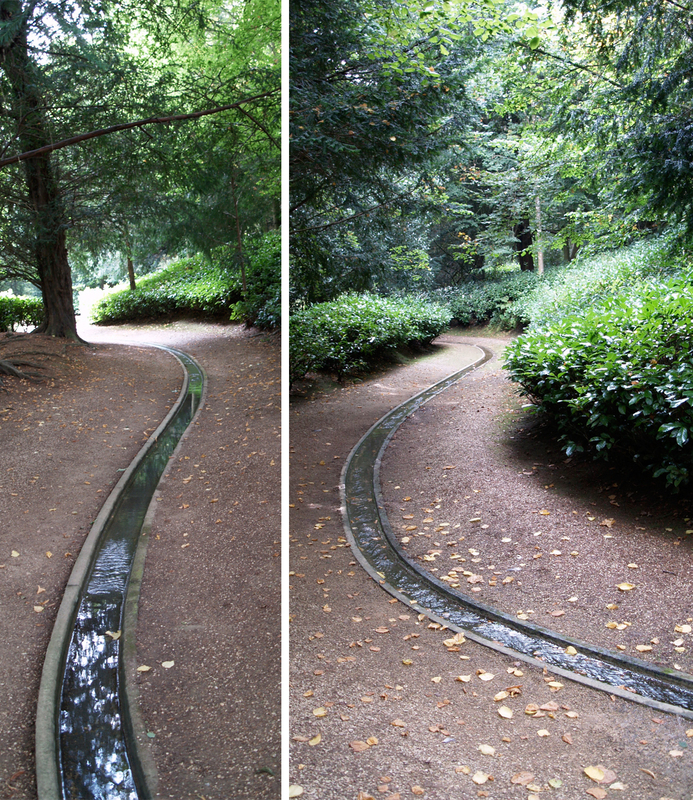 Funnily enough, it was as I skipped back and forth either side of the winding rill that I had my nostalgic moment. It was a very quiet day, I was genuinely skipping and knew nothing about the ‘Line of Beauty’ theory at the time! 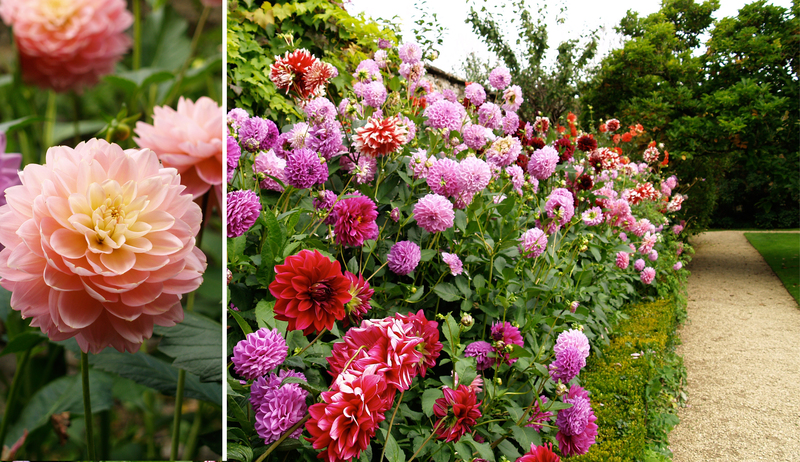 A separate walled garden, much closer to the house, has a large fruit and vegetable garden, box parterres, a dovecote and long herbaceous borders, including one dazzling border of just dahlias. It is also where you will find all these various pictured doorways and archways, which could not be more charming. 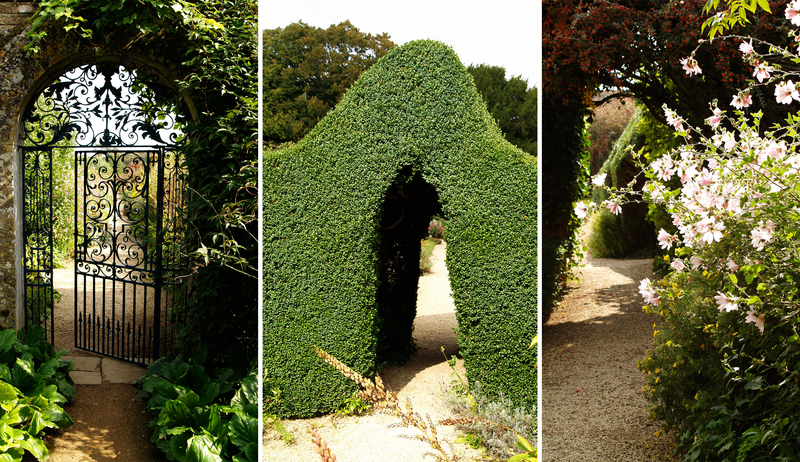 Rousham has definitely escaped the 21st century and remains a quiet and unspoilt place with plenty of hidden corners and meandering pathways to tempt your inner child.